When you arrive at Mohegan Sun, look for the Winter Garage and follow the signs to the Earth Expo Center! The CT Marine Trades Association is proud to announce that the 51st Annual Hartford Boat Show will be held in the magnificent Earth Expo Center at Mohegan Sun! The first winter-season Boat Show in the Northeast! 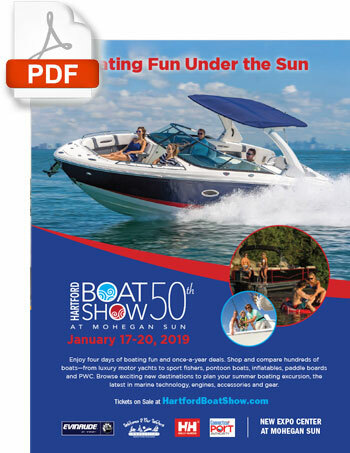 The Hartford Boat Show at Mohegan Sun will offer exhibitors an exquisite new venue and exciting marketing opportunities. Several sponsorship packages are still available for approved uses at this premier event. Please contact us from more information.